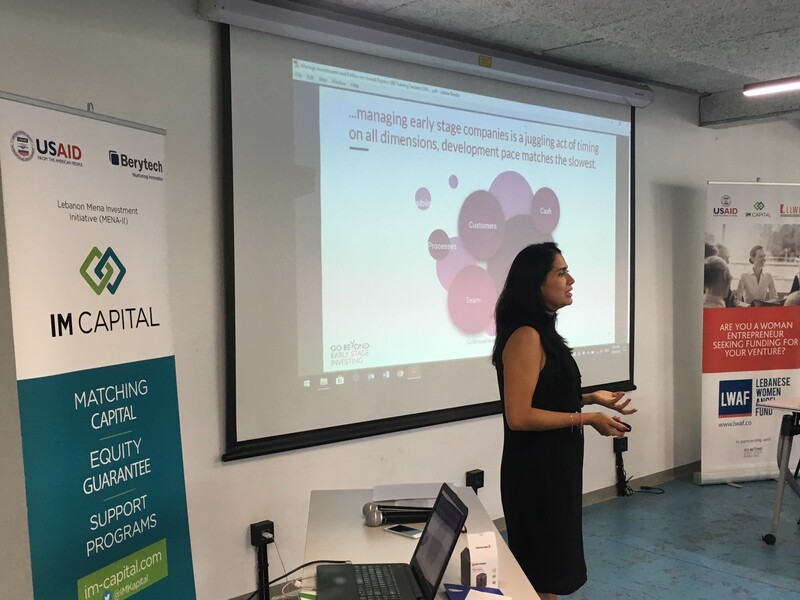 On Thursday 24th of May, 2018, LWAF held its 7th Investment meeting at the Beirut Digital District #1280. As the program is almost, 4 last startups pitched their ideas to the group aiming to receive a majority voting for due diligence. The 4 startups came from different industries, one being an e-commerce platform for all cosmetics products, the second a furniture design platform, the third a “manouche” vending machine and the last one a loyalty program platform. The angel investors were also invited to attend their last workshop the exit strategies by Go Beyond Early-Stage Investing. The next and final meeting is scheduled for July 5, 2018, one day before their graduation on the 6th of July, an event under the patronage of his Excellency Mr. Saad Hariri, which will be held at the Grand Serail Beirut.